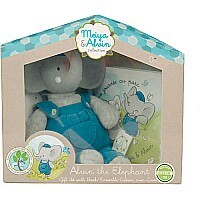 From the Meiya & Alvin Collection, this Deluxe Gift Set includes the adorable Alvin the Elephant mini teething doll made with natural rubber, hand-painted with water-based dyes, and clad in comfy 100% machine-washable cotton. 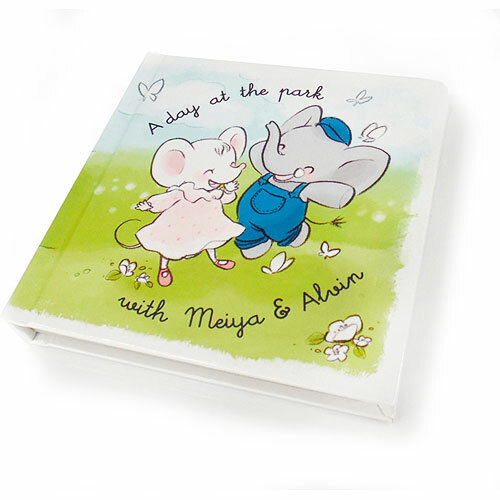 The boxed Deluxe Set includes a sweet "Day in the Park with Meiya & Alvin" storybook. This is a perfect gift for a new baby. 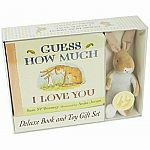 Each deluxe set is sold separately. For ages birth-3 yrs, from Creative Education of Canada. 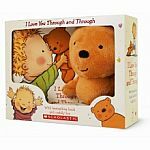 Alvin the Elephant mini teething doll is 8"
Natural cotton fabrics are pleasing to the touch and provide emotional comfort and reassurance, and enhance sensory awareness. 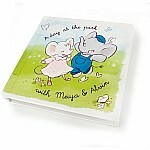 Measures approximately: 8.50 x 4.50 x 7.50 inches..